* Provide relevant and current updates that will aid and enhance your coaching delivery. • English Institute of sport covering Nutrition, Psychology, Strength & Conditioning and Physio. 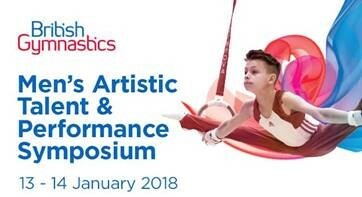 • Scott Hann MBE - coach to 2012 Olympian, 2016 double Olympic Champion, and World Champion Max Whitlock, and World Medalist and Olympic team member Brinn Bevan, Jamaican team member Reiss Beckford and elite Jay Thompson. Attendees of the symposium will be able to watch sessions back following the event securely through the academy. Clubs can book and pay for multiple places by emailing Rebecca Partridge directly.